This has been a great year for women of color in regards to the beauty industry. 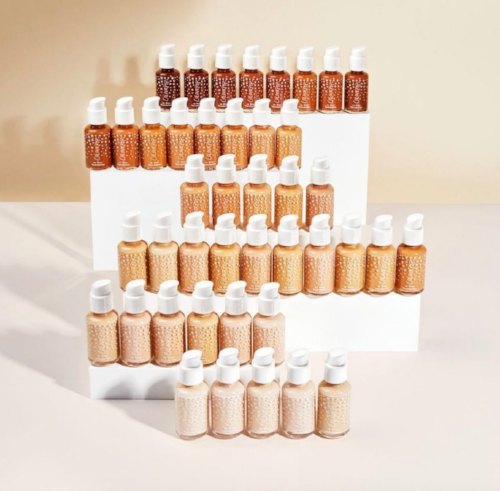 With the launch of Fenty Beauty, so many other makeup brands have stepped up their game and finally released decent shade ranges. But for the longest time this was only something happening at department stores. You could head to Mac or Sephora and see 40+ shades to choose from when hunting for the perfect foundation. But what about those looking for a more affordable alternative? At the drugstore it was common practice to see no more than 15 shades of foundation on a display. And even when a brand expanded their range, not every drugstore stocked the full range. That made it nearly impossible for women of deeper complexions to find their shade match. Buying two foundations to mix together is not right or fair when lighter skinned women can pick one and move on. This is not to say that drugstores have always been a complete flop when it comes to inclusivity in shade ranges. Brands like L’Oreal have always had a huge selection of their bestselling True Match foundation. But like most brands, that only goes for their most popular products. When launching a new foundation, they start with a few light to medium shades and see where that takes them. As if deeper skinned women are not in the market for a new foundation. And yes, it is lovely to head to your local CVS or Walgreens, and see 45 shades of L’Oreal True Match and even 40 of Maybelline Fit Me, but it is about damn time the drugstore amp it up with their inclusivity across the board. It is not as if these are smaller or newer indie brands without the resources to expand their ranges. These are major household brands that everyone and their sister has heard of, so as much as it is nice to see some growth from such brands, it is still frustrating that it took until 2018 to see inclusivity become a regular occurrence. Recently COVERGIRL released a brand new TruBLEND Matte Made foundation with 40 shades available. And it is not just a bunch of light to medium with a few darker shades thrown in at the end. From what I can see at least half the shades in the line are meant for more olive or deep skin tones. This is a big step for the world of affordable cosmetics. NYX Cosmetics has always been a go-getter, being cruelty-free and having one of the largest selections of makeup at the drugstore, and they still seem to fly under the radar. Not only do they have 30 shades available in their Stay Matte But Not Flat and Total Control Foundations, but they have 20 shades in the others. 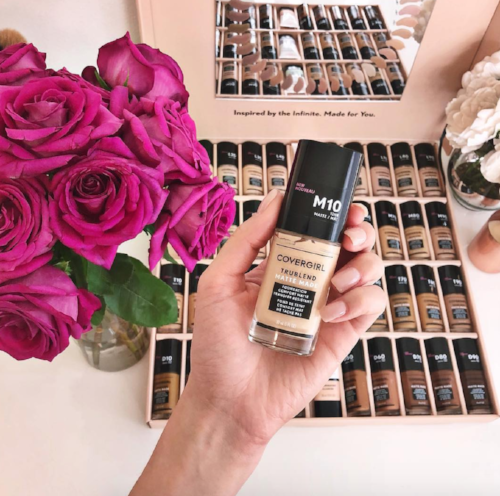 NYX also offers Foundation Mixers to create your perfect shade in any foundation. It is unfortunate that, again, if you can’t find your shade, you would have to buy a second product to make it work. As for Revlon, a classic, they are coming up the rear with 35 shades of their long loved Colorstay foundation. 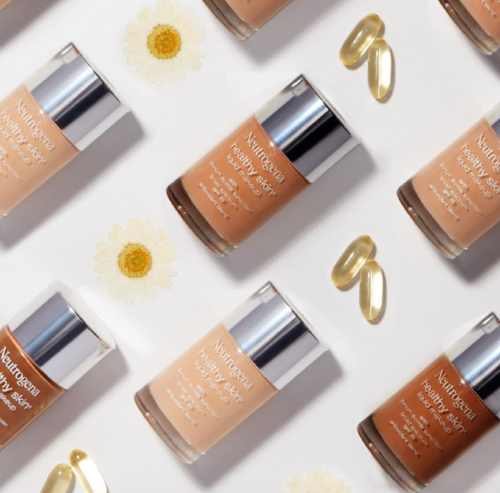 They did recently launch their Live Boldly campaign to empower women from all walks of life, but their shade ranges simply do not offer as much as some others. And the shocking part is that the concealer that corresponds to their foundation is only offered in 4 measly shades. As for Physicians Formula and Wet n Wild, cruelty-free brands, they are not as inclusive as you might hope. Wet n Wild does have 20 shades in their foundation, which could be worse I suppose, but Physicians Formula only has 16 in their latest launch, and that is their largest range yet. Before this, they usually offered 2-5 shades, which is just unacceptable. So their growth is something to appreciate, but they have a way to go. And of the brands most drugstores carry, Neutrogena comes in last place. Not one of their foundations comes in more than 14 shades, with only about 3 of them being even remotely deep, not impressive to say the least. If you are looking for a wonderful foundation, concealer, and powder with a great shade selection for an affordable price look no further than Colourpop. Although these products are only available online at the moment, the vegan and cruelty-free formula is well loved by many. Their No Filter Foundation comes in 40 shades, the matching concealer in 30, they even have options in their pressed and loose powders. And to top it off, they make it easy to find your perfect shade on the website by organizing them by undertone. Now we can cross our fingers that this is just the beginning of a makeup revolution. It is about damn time the more affordable beauty brands step it up their shade ranges. A big thank you to brands like Fenty Beauty, Mac, and Cover FX for leading the way for more brands to finally come to the realization that all women of all skin colors want to wear makeup. And if they didn’t realize it before, expanding their shade ranges makes everyone happy, including their profits.